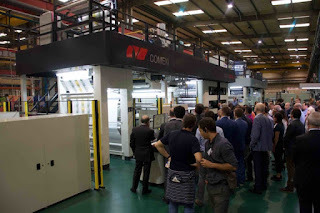 The main factors behind this rise have been the technological innovations brought about by the family of Comexi F2 flexographic presses, the Comexi F4 press, the extensive technical training which the group provides through the Manel Xifra Boada Centre of Technology, Comexi CTec, and the extra drive generated in the customer service department. “We have achieved a very high rate of success, with a large share of the market with respect to our rivals, reinforcing the sector in the whole of the Iberian Peninsula and registering record-high turnovers in the last two years,” claimed David Morera, Comexi’s area manager for Spain and Portugal. Moreover, in recent years the firm has sealed a great number of business agreements with companies at the forefront of various industrial sectors. “We lead the market in this region. Customers are perfectly well aware of the huge innovating capacity of our technology and, in like manner, the group’s ground-breaking solutions in laminating and slitting, such as the Comexi ML2 or the Comexi S1 DT, on top of laser technology and COMEXI Offset CI8 as offset printing, the innovative technologies of the company that make a difference,” claimed Jeroen van der Meer, CEO of Comexi. In particular, in the last four years more than 370 participants from 121 Spanish and Portuguese firms have shared in the different advanced training sessions conducted in Spanish and English which have been laid on at the Comexi CTec facilities. At the same time, the technicians from the Centre of Technology have offered upwards of 60 training sessions in the customers’ own facilities and in their consultancy services to more than 130 companies from around the world. “The ever-increasing number of participants in technical courses and services made available at customers’ request in these last few years help to endorse us as the guiding light of knowledge in our sector,” affirmed Gloria Deulofeu, academic coordinator at Comexi CTec. “We are living through some incredible years and we can be justly content and proud of the results achieved and with the strengthening of our leadership. 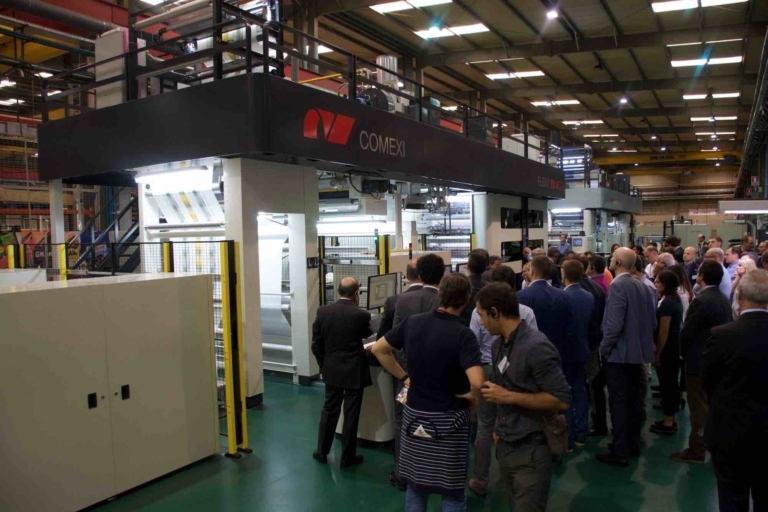 We have some really positive figures to show for our efforts and it is with some joy that we welcome back customers who had seen fit to look elsewhere for the machinery and who now place all their trust in Comexi. Although the competition is showing much movement, we are driven even more by a constant desire for innovation, that our efforts will continue to mould the success of our customers,” David concluded. In the coming years the aim of the company shall be to continue growing along similar lines, leading the sector and swelling its share of the market through the desire of strengthening even further the sales in this region. Recently, Comexi’s participation in the Hispack Fair came to an end: “We can count ourselves more than satisfied with our involvement in the fair and grateful to all our customers for the interest shown. We always value this personal contact and see it as a wonderful opportunity to consolidate our relationship. One added plus is that this year Hispack has recognised the work done by the Manel Xifra Boada Centre of Technology—Ctec—as the main driving force of knowledge in the field of flexible packaging, to the extent that, under the auspices of Hispack, we carried out three technical talks with some success: Carles Rodríguez, Comexi lamination brand manager, made a presentation on packaging and sensory experience; Albert Torrent, Comexi slitting brand manager, carried out another on how to gain flexibility in packaging operations, as well as being part of an interesting debate on robotization in productive processes; and Pere Becerra, Comexi demo center manager, ended with a session on sustainable technology solutions,” noted David.